Congratulations on your Tour de France win. Watching you, live, at the start of your victory lap into Paris. 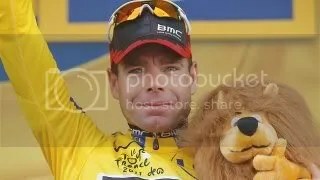 Update: Cadel is riding with a glass of champagne in his hand. lol. First Antipodean winner, I believe?